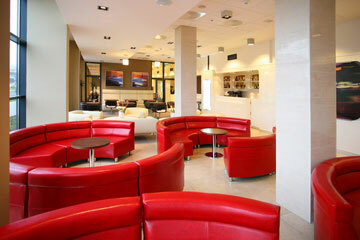 Located within a 10 minute drive to the city center and to the airport, the Diament Hotel Wroclaw offers its guest comfortable accommodation in modern interiors creating cozy atmosphere. 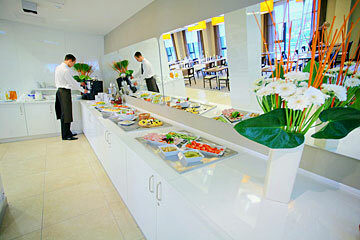 Guests will enjoy excellent personal service and up to date facilities. 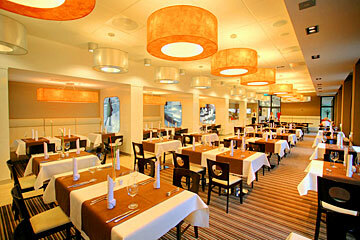 In the hotel's restaurant guests will savor delicious dishes served in a cozy interiors with comfortable sofas, modern tables or special corners where guests can have a meal in more intimate atmosphere. 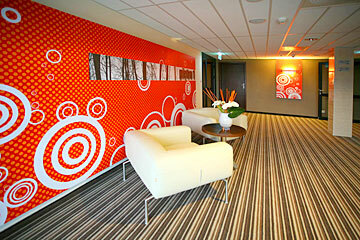 Guests will keep fit in a modern gym. 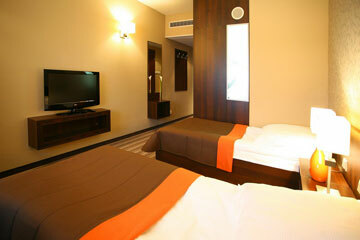 Hotel Diament Wroclaw oferuje 132 rooms furnished in a modern cozy style. 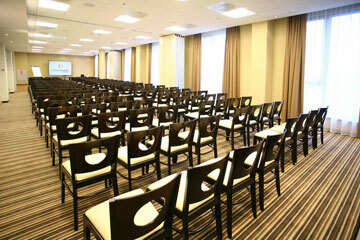 Connecting rooms are available. The hotel accepts major credit cards Visa, Mastercard, Maestro. 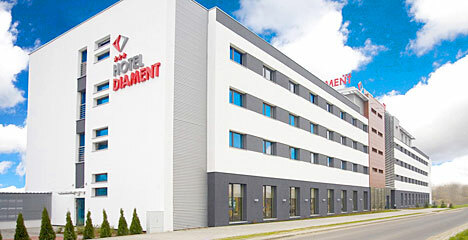 The Diament hotel is located 5.4 km from the center of Wroclaw, 6,6 km from the airport, 8 km from the main train station. To the Diament Hotel guests can go by tram 5 or bus 136, from the airport by bus 406, 126, from the center by bus 142, 126, 136, or by tram 3, 10.
skich street and the Hallera street, then turn right on the crossroad of KleciĹska street with the DuĹska street. t Lwowskich, then turn left to Plac Jana PawĹa II, then turn left to the Strzegomska street and then drive stright to the Muchoborska street.